There are many different pumps in the Taco 00 Series Pumps. One of the most diversified is the Taco 006. Their circulator pump can be used on Domestic Hot Water Recirculations, Hydro Air Heating and Cooling, Heat Recovery Units, Water source Heat Pumps, Portable water Systems and Drain Down Open Loop Solar Systems. The Taco 006 pumps has a compact design that uses very low amounts of power but the Taco 006 is perfect for use on high efficiency jobs. There are 4 different sizes in the Taco 006 Series, the 006-B4 has a Sweat connection of 3/4″, the 006-BC4 uses a Sweat 1/2″ Connection. The Taco 006-BT4 uses a 3/4″ NPT Connection and the 006-BC4-I uses a Union Connection. Some of the letters on the ends of the models number have the following meanings, B= Bronze, Sweat, BC= Bronze, Sweat, Panel Mount Tappings, BT= Bronze Threaded, BC-1 = Bronze, Union, Panel Mount Tappings. 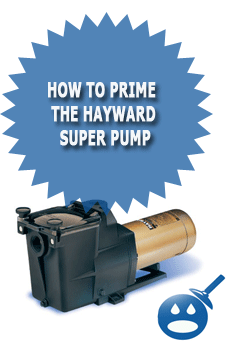 The pump itself is made from a strong Bronze Construction but the inner parts of the pump are just as strong. The Impeller is made from a Non Metallic Material, the Shaft is Ceramic, and the Bearings are Carbon, the O-rings and Gaskets are EPDM, the Cartridge is Stainless Steel and the Stator Housing is made up of Steel. The Taco 006 is virtually maintenance free. The pump’s performance is just as important as what the pump is made of. The 006 has a flow range of 0-10 gallons per minute. The head range is 0-9 feet; the Maximum Working Pressure of the 006 is 125 psi. 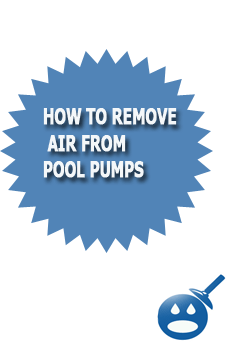 The Minimum Fluid Temperature Allowed is 40 degrees Fahrenheit and the Maximum Fluid Temp Allowed is 220 degrees Fahrenheit. The specs on the motor has the motor working on a 1/40 horsepower, 115 volts, 60 Hz, .52 amps, single phase and the RPM’s are 3250. There are options for the motor for more power; the following choices are available, 220/50/1, 220/60/1, 100/110/50/60/1. Some of the other great features of the Taco 006 is that it has a very quiet and very efficient operation. The pump has a direct drive and a very low power usage. There are no mechanical seals on the 00 Series Pumps. The Connections are available in 1/2″ Sweat, 3/4″ Sweat or 3/4″ NPT or Unions. 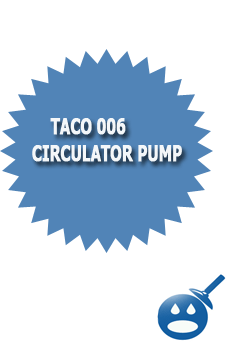 The taco 006 circulator pump is rated for indoor use only. Just like the other pumps in the Taco 00 series, these pumps use a Cartridge Assembly. Inside these assemblies are the inner working moving parts of the pumps such as the bearings. If any more than one part begins to fail on the 006, chances are that the only thing that has to be replaced is the cartridge rather than the entire pump. Though the 006 is virtually maintenance free, there may come a time when you may need some work done and when you do, it won’t cost as much as you may have thought. When you choose Taco you are choosing reliability and dependability every time. I am looking for an instruction manual for a Taco 006-s50w pump. The pump is blue in color. That’s about as close as I’ve found on the web. The pump section needs to be taken apart and the check valve must be removed. 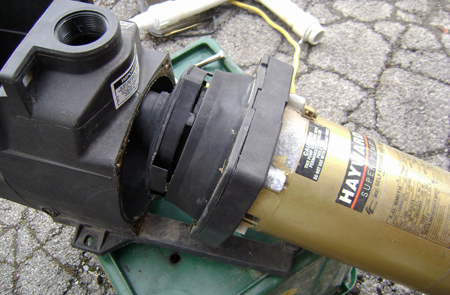 It causes too much back-pressure for the motor to handle. Also remove the circuit board and wire the pump directly to house current 110V, controling it through a Honeywell R845A relay and 24V thermostat.